A powerful storm caused the death of one driver in East County Friday and may have caused a second fatal single-car near MCAS Miramar, investigators said. In the East County, a vehicle struck a sign and rolled down an embankment along westbound Interstate 8 near State Route 79, California Highway Patrol officers said. Earlier in the day, San Diego Police Officers were investigating a single-car crash near MCAS Miramar. A driver was ejected from a car after he collided with a tree on Kearny Villa Road at approximately 8:30 a.m. 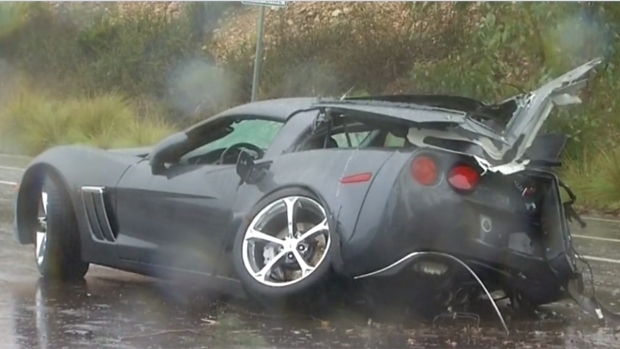 The 64-year-old man behind the wheel of a 2013 black Chevy Corvette died in the crash. Officers say rain and speed may have been factors in the collision. A man was killed in a crash in Miramar Friday morning amid heavy rain that caused slick roads. His car struck a tree and he was thrown from his car. NBC 7’s Elena Gomez reports. Steady rain generated by a storm out of the Gulf of Alaska drenched San Diego County throughout the day Friday. By noon, Palomar Mountain received almost four inches of rain with Fallbrook reporting 1.8 inches of rain. Carlsbad received 1.16 inches rain with less than an inch reported at Lindbergh Field and San Ysidro. A low ceiling caused some delays for flights arriving and departing San Diego International Airport. At one point today, there were delays between 16 and 30 minutes according to airport officials. 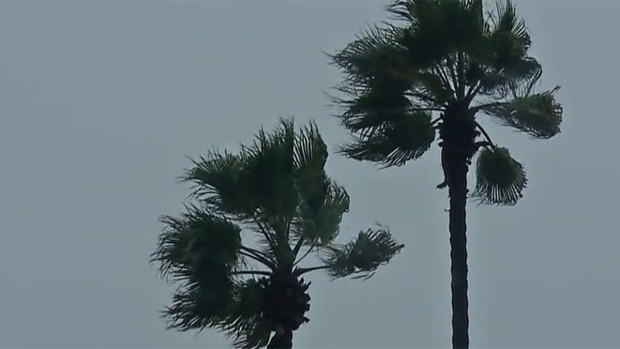 As rain swept San Diego County, NBC 7's Liberty Zabala headed to Cardiff to see how the weather was impacting those who live, work and commute through the North County. 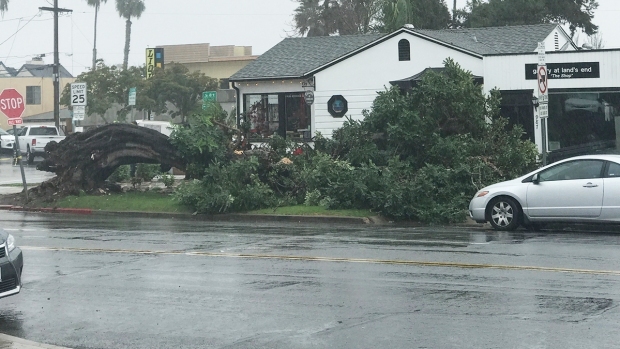 In Pacific Beach, a large tree fell near Cass and Loring streets. No one was injured. There was a high wind warning issued by the National Weather Service in effect for the mountains and deserts until 8pm Friday. Gust into the 60 and 70 mph range were possible. There was also a wind advisory in effect for the coastal communities, 3 p.m. until 2 a.m. Saturday. Gusts to 35 mph were possible. "For the most part it's the wind everyone will be talking about," NBC 7 Meteorologist Jodi Kodesh said Friday. There were fears of flash flooding and mud flows down fire-stripped slopes, as treacherous travel conditions developed in the mountains in Northern California. Strong winds, icy roadways and dangerous wind chill could bring the potential of treacherous driving conditions on Interstate 5 near the Grapevine. The threat of flash flooding targeted the so-called burn areas of L.A.County -- in the San Gabriel and Santa Monica mountains and the San Fernando, Santa Clarita and San Gabriel valleys, as well as in areas of Ventura County, the NWS said. Get the latest from StormRanger 7 anywhere, anytime.